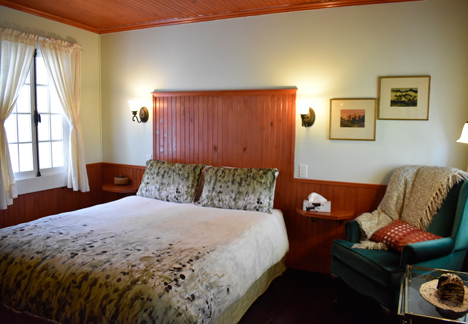 Located on the second floor, small and cozy, each bedroom has its own charm, offering a panoramic view of the mountain, gardens or the Appalachian chain. 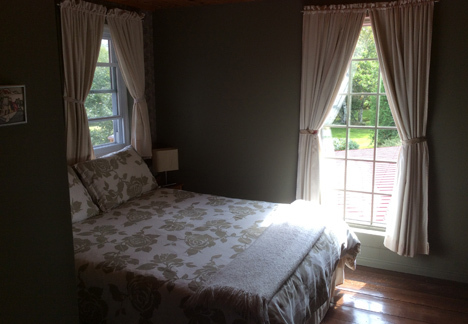 The large pine wood floors squeak their own memories... All our rooms have private bathroom. Wifi high-speed internet access is also available. To see our rates, clic here. 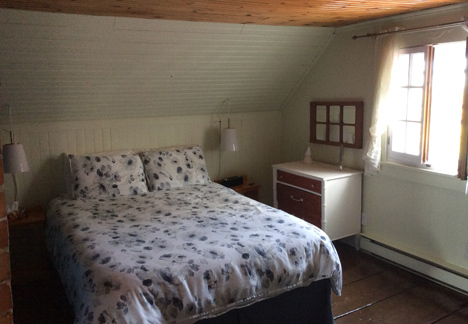 In a safari decor, bedroom with queen size bed and hide-bed in the living room, bathroom with antique bathtub, private balcony with view on garden and Mont-Megantic. Will accomodate up to four people. Our room facing south, very sunny, with queen size bed, reading corner, wardrobe and private bathroom. The old master bedroom with view towards the east with queen size bed, reading corner, wardrobe and private bathroom.